Patrick D. Reaume, CFP, RHUPat has been in the insurance business for over 25 years. His business and residence is in Redlands, CaPat is one of 7 children. 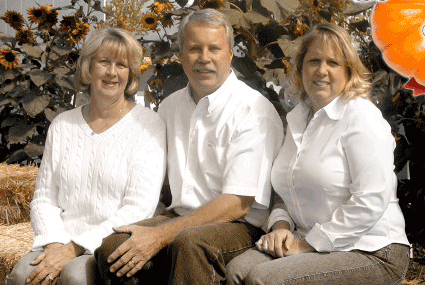 Three of the seven kids joined their father, Wallace in the insurance business. Pat specializes in employee benefits assisting employers manage their overall benefit package.Pat holds a Certified Financial Planner (CFP) certification from the College of Financial Planning, as well as the designation of Registered Health Underwriter (RHU) from the American College.Pat’s mission is clear: “Our Passion is our Dedication to our Clients. We will demonstrate this Passion through ongoing Support and Communications”.Pat has been the recipient of many leading industry awards and honors including the Leading Producer’s Round Table- Eagles Club Award, the MVP Award given by Kaiser Permanente, The Blue Cross Century Award and the Blue Shield Most Valuable Producer Award.Pat enjoys spending weekends with his family and friends, RV camping, and riding watercraft and dirt bikes with his son.Pat serves his community as a Past President of the Inland Empire Association of Health Underwriters. He has served for several years as a sponsorship chairman for the Pediatric Aids Fundraiser. Pat participates with a local networking group called BNI and has found that strong relationships serve well when making recommendations to clients. Lisa’s work experience includes solving customer complaint issues at Federal Express, a teacher of a Kindergarten and First grade combo class, a teacher’s assistant for 5 years, over 6 years as a Girl Scout leader, camp organizer, and Service Unit Leader, as well as a Trainer for the Girl Scouts and their leaders. She has worked as a Medical Assistance doing front office and back office jobs as a Registered Medical Assistant for many years. This gives her training in the claims and billing matters, as well as working with the carriers. Her medical back ground also assists her in helping our clients in choosing the right health plan and understanding their needs.Lisa joined Reaume Insurance Solutions over 8 years ago. She has since earned her California Insurance License. She continues to further her education with continuation courses.Lisa is dedicated to her job and is a real people person. She wants to be sure she is on top of client concerns and has a unique follow up system. The RED file system is for projects in the process yet not completed. Having this system keeps Lisa on top of important client concerns. Returning client calls on a timely basis is on the top of her priority list.Lisa enjoys spending weekends with her 2 girls, Janelle and Melissa. She enjoys gardening, scrap booking and get away weekends. As Office Administrator, Pam handles the details at Reaume Insurance Solutions. Her background is in advertising and administration. She will work tirelessly to be sure everything is in order.Silently Pam goes about making sure all our constantly changing account information is current and correct. She and Lisa follow up with insurance carriers on a regular basis to be sure requests are completed, interfacing to keep the office systems updated. It is surprising how many times we fax a request to an insurance carrier only to hear from the carrier that they “never received” it. Pam and Lisa repeatedly will not stop faxing to and calling the carriers until the request is processed correctly.Pam’s duties now include keeping all systems running, like computers and back-up systems. She keeps us in compliance by insisting that all files are put away each night, file cabinets are locked, and the security alarm is set before we lock the door for the evening. Pam is also the office “go-to” person for spelling and grammar check.